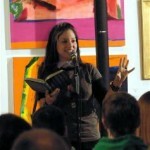 Host Simone Beaubien introduces the next poet at the 2010 Attleboro Arts Museum Slam. Photo by Artie Moffa. 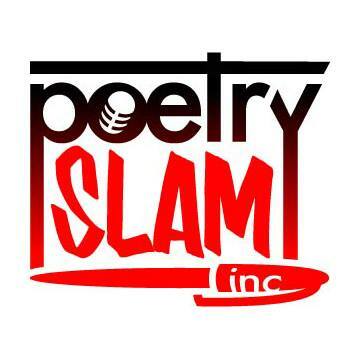 The Boston Poetry Slam has presented a free, cash-prize poetry slam in conjunction with the Attleboro Arts Museum annually since 2007. 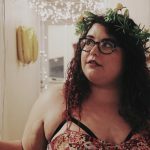 The 2018 event will take place on Friday, May 18, from 7pm-10pm, and feature local teams bound for the August National Poetry Slam in Chicago. 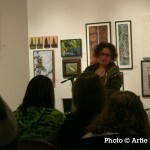 As always, the show is held in the main room of the Museum at 86 Park St. in Attleboro and MC’ed by Simone Beaubien. The event is free of charge and recommended for teens and up, although all ages are welcome. 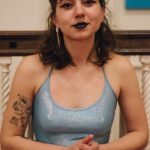 This show is a cooperative effort between the Attleboro Arts Museum and the Boston Poetry Slam. 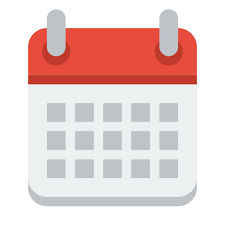 For more details or information on the event’s beautiful location and other programs available from the museum, please visit the Attleboro Arts Museum website. 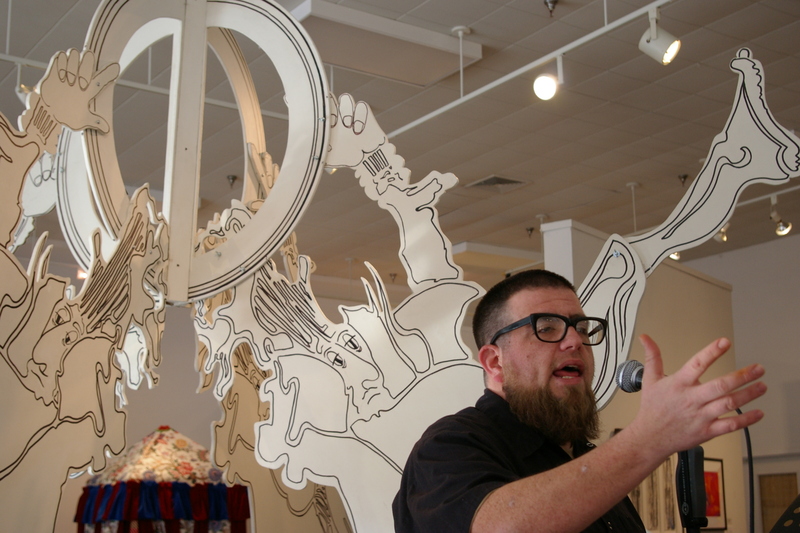 Please enjoy our gallery of images from past Attleboro Arts Museum slams! 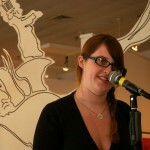 Caroline Harvey, workshop leader, features at the 2009 Attleboro Arts Museum Poetry Slam. Photo by Gary Hoare. 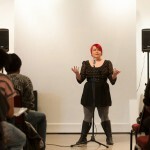 Workshop leader and feature Megan Thoma performs at the 2010 Attleboro Arts Museum Slam. Photo by Artie Moffa. The 2010 audience listens up to feature Mike McGee at the Attleboro Arts Museum Slam. Photo by Artie Moffa. 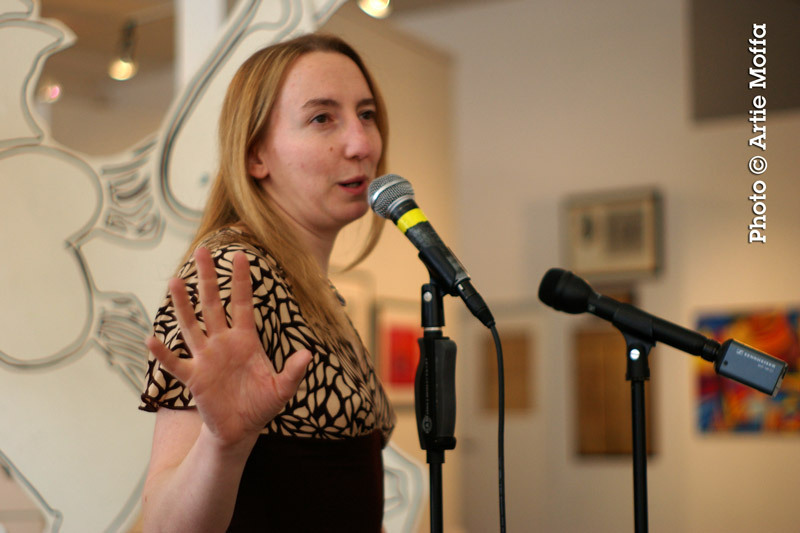 Poet-musician Sou MacMillan performs after workshopping at the 2008 Attleboro Arts Museum Slam. Photo by Artie Moffa. 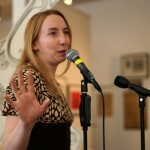 Melissa Newman-Evans performs at the Attleboro Arts Museum. Photo by Marshall Goff. 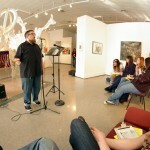 Mike McGee, workshop leader, features at the 2010 Attleboro Arts Museum Poetry Slam. Photo by Artie Moffa.